Advancing Equity and Achievement in America’s Diverse Schools illustrates how educators, students, families and community partners can work in strategic ways to build on social, cultural, and ethnic diversity to advance educational equity and achievement. By drawing on the latest data on demographic change, constructions of culture and cultural difference, and the politics of school reform in urban, rural, and suburban school communities, this volume looks toward solutions and strategies for meaningful educational improvement. Contributors consider both the diversity of youth and families served in public schools, and the culture of U.S. schooling, highlighting the influence of policy and reform agendas; students’ identities and agency; experiences and approaches of diverse educators; and the workings of effective school partnerships. Chapters also focus on those often overlooked in educational scholarship such as Native Americans, students experiencing poverty and/or homelessness, Muslim students, students with special needs, and students and educators who are lesbian, gay, bisexual, transgender, intersex, or queer. 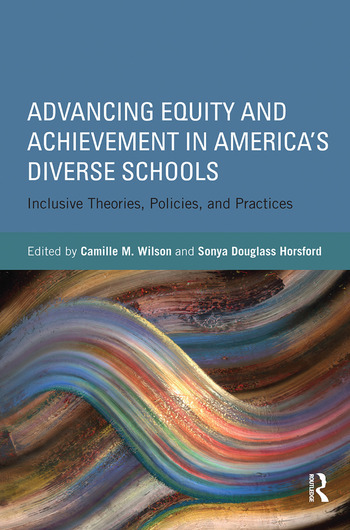 In all, this edited collection stresses the need for high quality education that is inclusive, culturally responsive and unifying so all students can experience academic success. This book is a meaningful resource for educators, policymakers, and community-based leaders interested in doing such transformative work. Camille M. Wilson is Associate Professor of Educational Leadership and Policy Studies at Wayne State University, USA. Sonya Douglass Horsford is Senior Resident Scholar of Education at the Lincy Institute at the University of Nevada, Las Vegas, USA.